Tulsi herb is an awesome gift by nature of human beings. Monsoon season comes with happiness with good temperature during fall of rainwater but also with many kinds of disease. Infections during this season remain high. This season provides a good ground for the breeding of mosquitoes and germs due to which many kinds of diseases such as malaria, dengue, viral fever etc lead very fast. 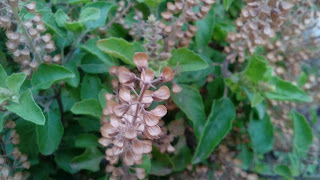 Tulsi is a very good gift by nature to fight against these seasonal problems. This herbal plant Tulsi has miraculous medicinal properties which may protect us from seasonal infections and disease. Tulsi leaves extract contains T helper cells and natural killer cells activity due to which it prevents against all kinds of infections and diseases by killing bacteria, viruses, protozoa, fungi etc. So Tulsi a great immune booster. It contains phytochemicals, bioflavonoids and anti-oxidants compounds such as rosmarinic acid which is very good for treating infections in respiratory tracts. Tulsi in other words Holy basil is an excellent remedy for throat problem such as a cough soothes of the throat and also reduces inflammation of chest and helps to expectorate the mucus. It helps to cure both the internal and external skin problem without any side effects because Tulsi has strong antibiotic, disinfectants, antibacterial, and antifungal effect. 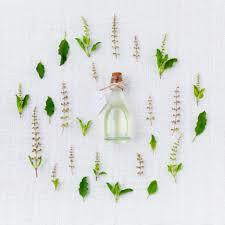 Using tulsi leaves or its extract oil on skin keeps mosquitoes and other insects away. This is a mint species plant with strong aroma revealing insects like mosquito, fleas and other harmful one. Keeping this plant in the home will avoid insects bite and getting healthy air. Fever is caused due to infections from protozoa, viruses, bacteria, and fungus. The formidable properties tulsi destroys all those pathogens and cures the resulting fever. You may use it directly or with honey or as tulsi tea. You may grow this plant inside or outside the home to get fresh air and to keep environment full with insect free air.